On Friday I had the pleasure of spending a few hours with my Grandma, an aunt and an uncle. I brought with me Jim’s lentil soup (a bean staple in our house at this point), and a couple puzzles. 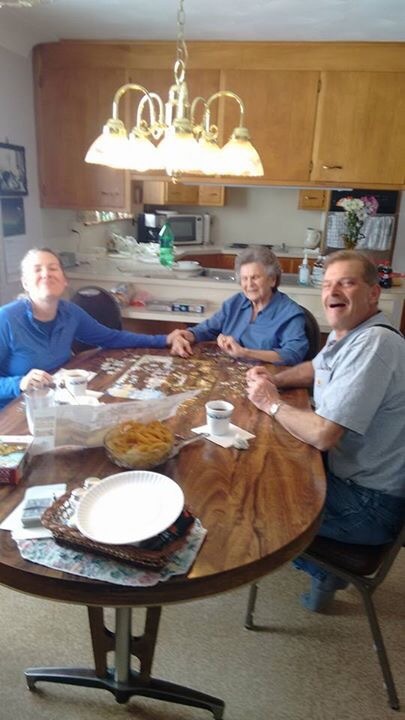 At first my grandma was reluctant to be drawn into the puzzle. My aunt and uncle were a different story however and we had a surprisingly fun time over it. It truly turned out to be a perfect way to spend the snowy day together… eating soup and subs, drinking coffee, and casually conversing over a three hour, 300 piece puzzle. I felt very much that my Dad was there through the four of us who carry both his genes and so much of his loving character. I cannot tell you how wonderful this was for my soul. 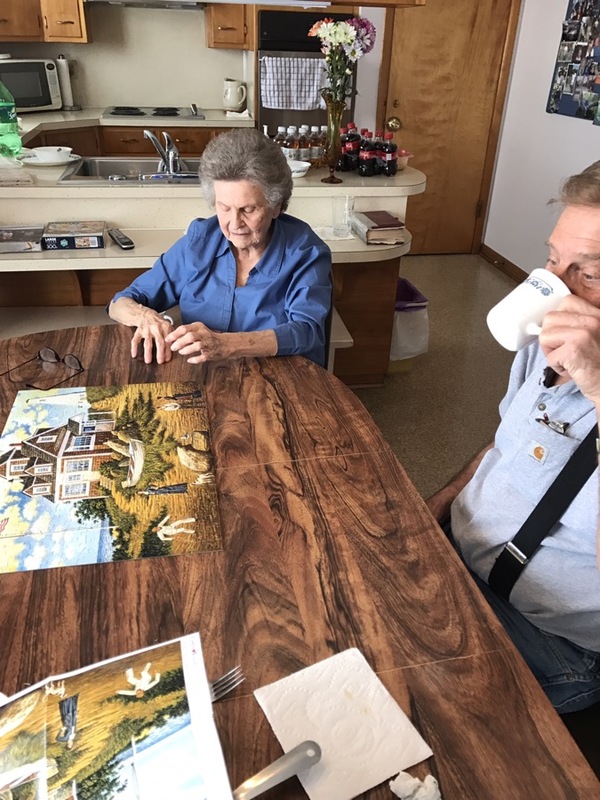 I was pleased to get a text from my aunt on Sunday morning that my Grandma had started the second puzzle I left behind. You see, one cannot resist the allure of a puzzle. I remain grateful for this simple gift.